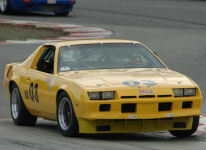 I am selling the 2012 Mustang Coyote engine RP car we ran at the Runoffs. It is a straight chassis car with full Griggs suspension. new build, only used at the Runoffs. If interested email me at dhrrx7@hotmail.com and I can get pics to you. The car was much better than the setup I had on it and should be a contender at tracks that aren't VIR and RA.